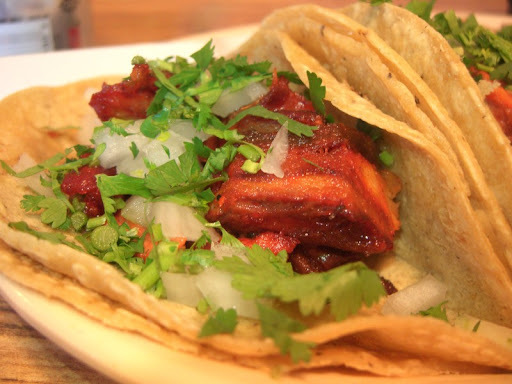 Questing a bit farther afield in Austin from our SoCo home base, we ventured east to Rosita's Al Pastor. Less than inviting from the outside, but somewhat more so on the inside, Rosita's is a sit-down, order from your table place. A brief language negotiation with our friendly waitress revealed that our broken Spanish was somewhat better than her broken English, so Spanish it was. We did notice, though, that they will bring the owner (who speaks English) to a table if there is a communication problem. 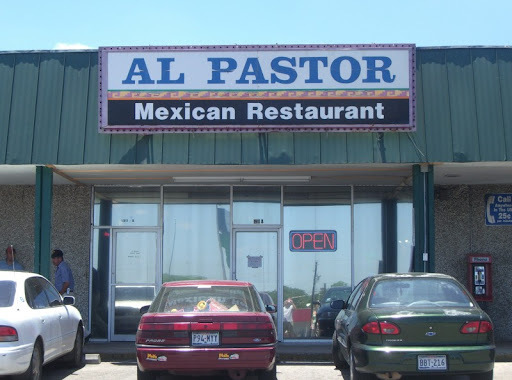 We ordered Tacos Al Pastor and Enchiladas Al Pastor. The tacos were very pretty, with a nice red tinge and the requisite dusting of onion and cilantro. Unfortunately, the taste was a let-down. The texture was good, if a bit on the crispy side, but the meat had very little flavor. 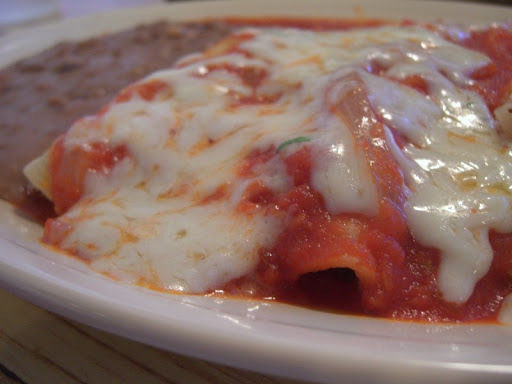 The enchiladas were more successful - mainly because of the tasty red sauce (they normally come with green, but it wasn't available). The rice and beans did little to win us over - again, not much flavor. The table salsa was very pleasant, however. A very different expedition had us at Torchy's Tacos for a post-bat-watching dinner (more to come on that in future post). 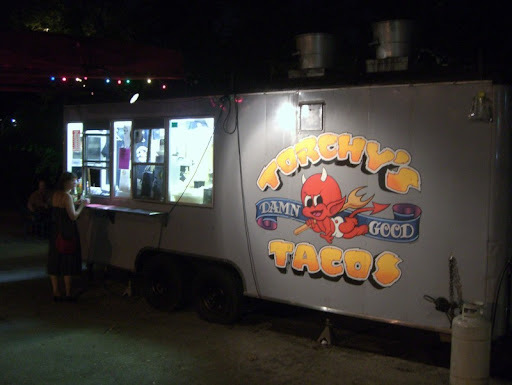 Torchy's operates out of a trailer on South 1st, and caters to a decidedly more hipster crowd than Rosita's. They definitely get points for charm, with their brightly lit window surrounded by small tables and mellow music wafting through the warm evening air. 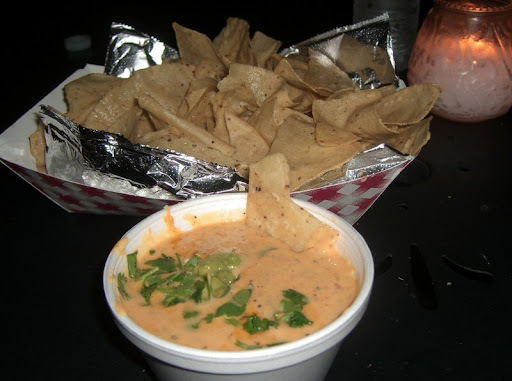 We started out with Chips and Green Chile Queso. What can I say about freshly made nachos by candlelight? To accompany our cheesy goodness, we had a Green Chile Taco, and a Democrat (beef barbacoa). Both had pretty good flavor, but the meat lacked texture. Completely edible (and eaten), but nothing very special. 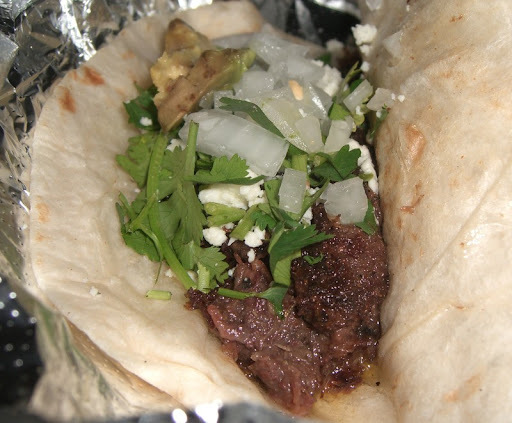 The barbacoa taco is pictured below. I wouldn't get take-out from here, but I really enjoyed the meal on premises. If I lived nearby, I might be a regular. But what about breakfast? 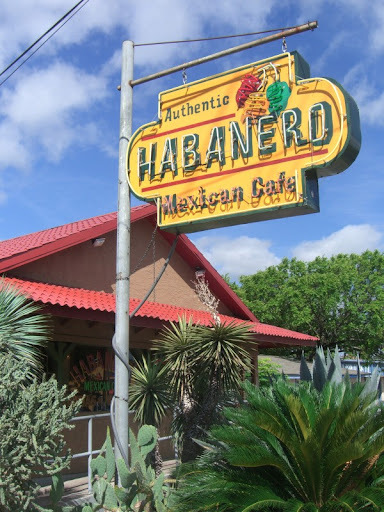 One morning we ventured a bit farther South to Habanero. We liked the place immediately. Inviting from the outside, and a bright friendly feel inside. Very good. 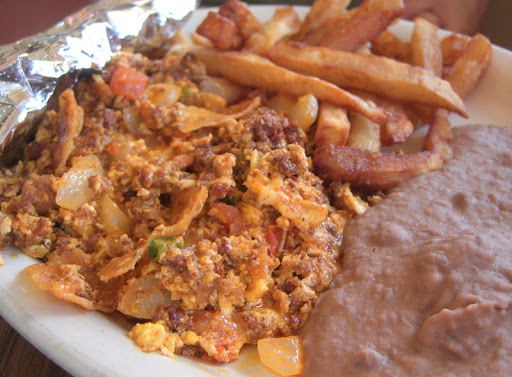 Scrambled eggs cooked with chorizo, pieces of tortilla, onions, peppers, and cheese. The refried beans were also top notch. And it came with fries! The best part, though, was rolling your own Miga Tacos. Tortillas come on the side, and you scoop a bit of everything into a tortilla, add some salsa, and dig in. Bliss.